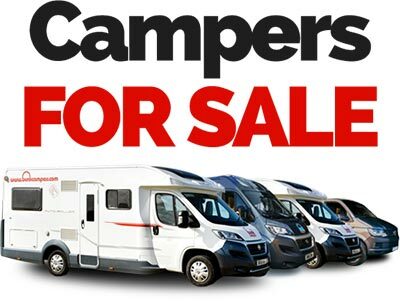 Want to hire a campervan or motorhome in Scotland? Enjoy the freedom of the open road and get connected to the incredible people and landscapes of this beautiful country. 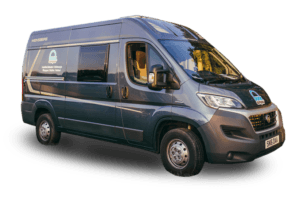 Our Scotland campervan rental depot is conveniently located between Edinburgh & Glasgow International airports, making it easy and convenient to get on the open road. 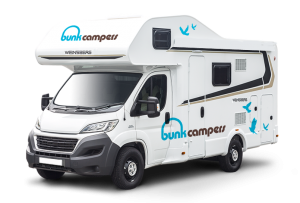 With unlimited UK & Ireland mileage plus campsite discounts, take advantage of low-cost flights to Scotland and hit the open road with your transport and accommodation in one! Outdoor enthusiasts will find hundreds of coasts and castles to explore in Scotland’s Highlands or for something more remote, hop on a ferry in your camper and get off the beaten track whilst exploring Scotland’s remote Islands. Road trip lovers can take a tour north along the North Coast 500, dubbed Scotland’s answer to ‘Route 66’ or for something completely different, chase the spectacular Northern Lights in your camper on an adventure you will never forget! 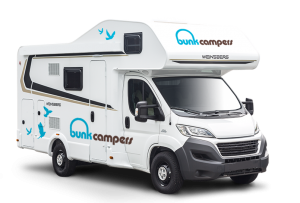 With campervan hire from Bunk Campers, where you go, you decide! 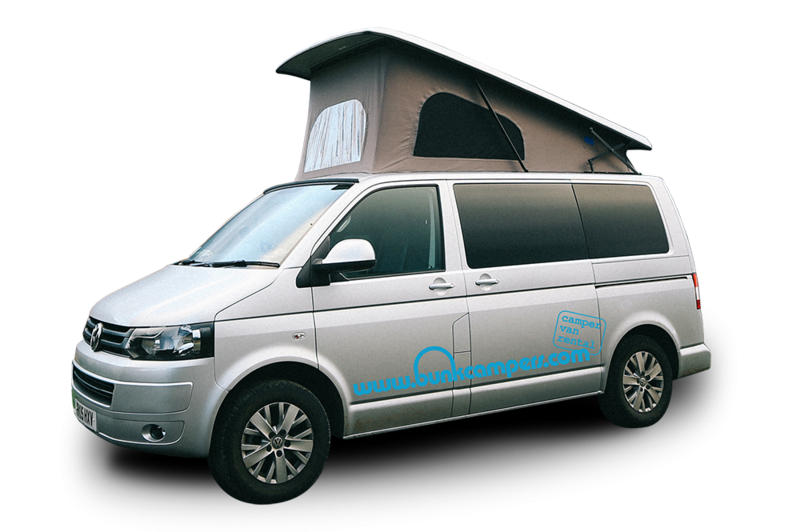 Choose from our large, modern fleet of campervans for hire in Scotland. 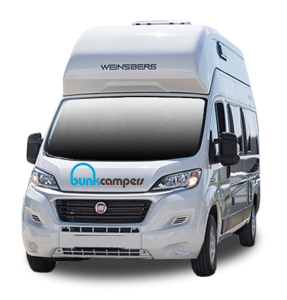 We offer Europe’s widest choice of campervans and motorhomes for hire so that you can choose a camper type that meets your needs. 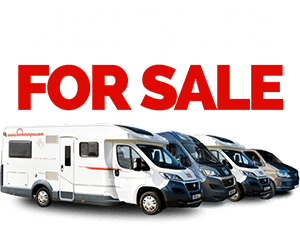 All of our campervans and motorhomes are less than 2 years old and offer modern and stylish accommodation for your Scotland camping holiday. For couples, the Aero is fully equipped with shower and toilet but is compact and economical to drive. Something bigger and more luxurious? The Aero Plus motorhome offers apartment style living on the road with a fixed double bed and bright, airy feel. 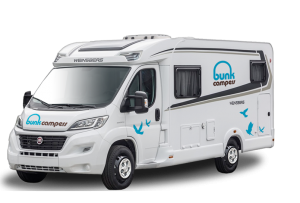 When you hire a campervan in Scotland from Bunk Campers, you also have the choice of hireable extras to make your holiday as comfortable as possible. From airport transfers, outdoor tables, chairs or even an extra pillow – we have it covered. 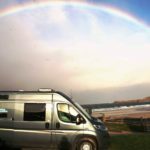 10% OFF May & June Campervan Hire! 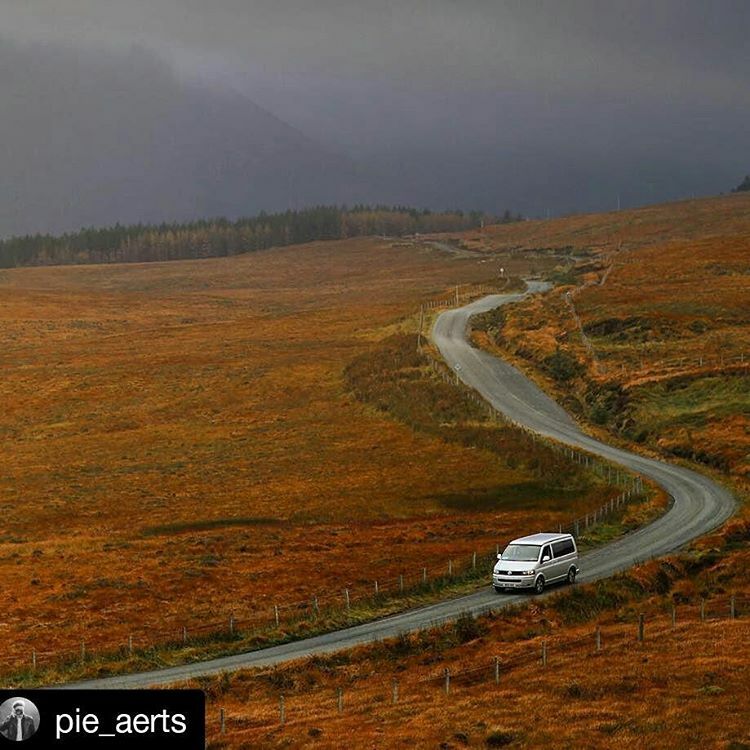 With the peak season crowds still a few weeks away, May or June is a great time to enjoy a campervan holiday in Scotland. 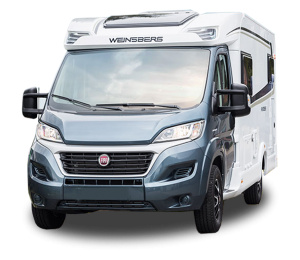 Long days are on the horizon, the weather is hotting up and our motorhomes are hitting the open road around the Highlands, islands and North Coast 500. If you haven’t considered a spring getaway, don’t forget we are offering 10% OFF May and June campervan hire in Scotland when you book before 30th April! 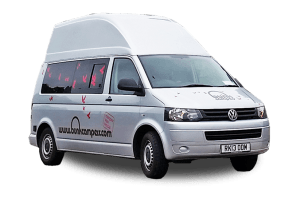 Situated just 10 minutes from Edinburgh airport, campervan hire Edinburgh is the perfect way to get you connected to Scotland. Take advantage of our transfers from Glasgow International Airport to our depot in Broxburn and get on the open road. 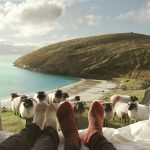 Campervan Hire Scotland: Where are Scotland’s best places to visit in my campervan? 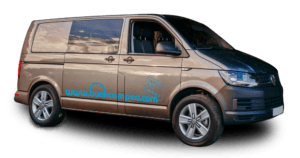 Campervan & Motorhome Hire Edinburgh – A guide to our Edinburgh depot.